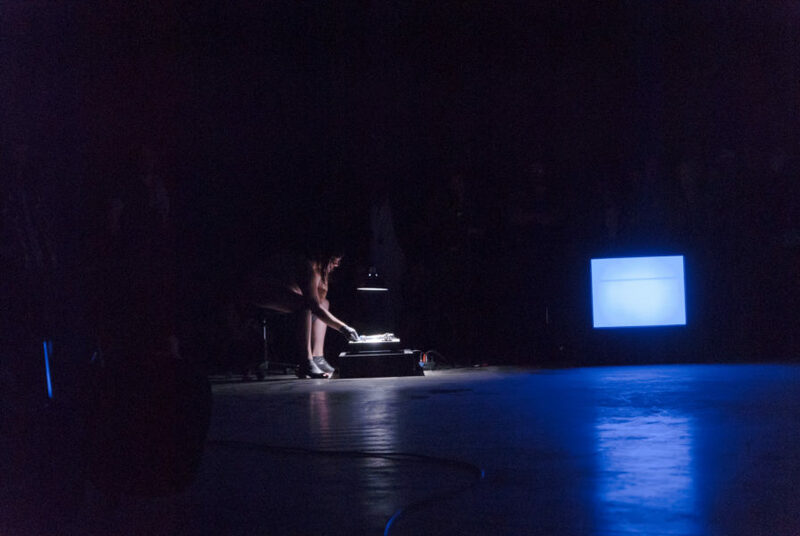 A performance with Jen Rosenblit and keyon gaskin at Portland Institute of Contemporary Art’s TBA:16 live arts festival to celebrate the record release of Leave No Trace (2016). The record was used as an interactive audio track for the performance along with the poem, which I read aloud. 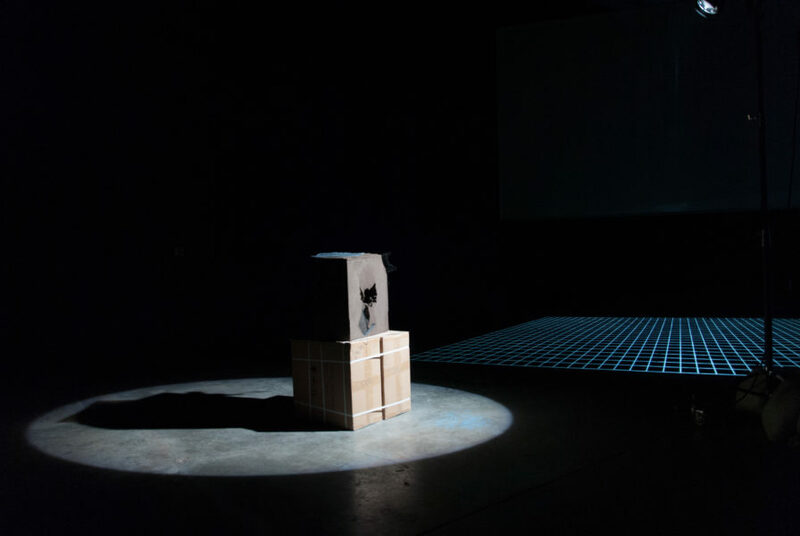 The performance was staged within the installation of A Smeary Spot (2015). 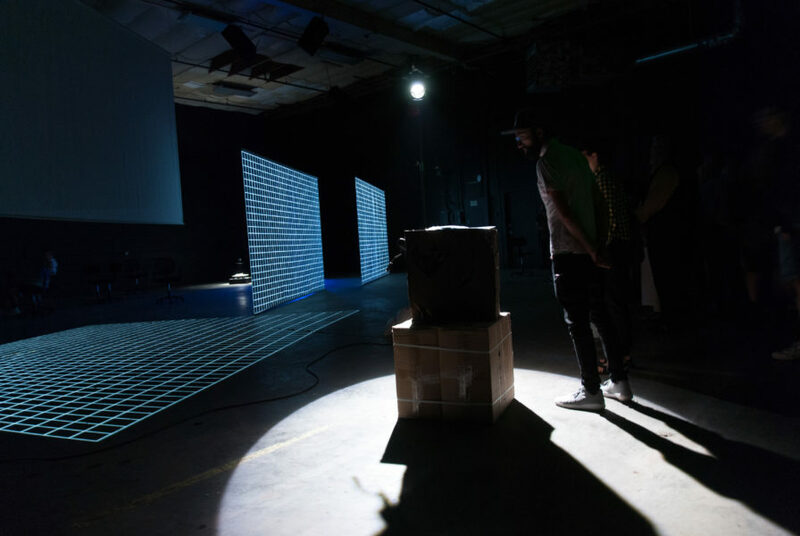 The set included screens, grid video projections, sculpture, follow spot, record player, office chairs, nitrile gloves and sandbags. The performance actions were collaboratively conceived with the performers. Sedimentary Delivery (2016) in spotlight at the entrance to the performance space. Record is already playing while audience enters. Performer Jen Rosenblit interrupts, flips, and repeats the record, while wearing nitrile gloves. 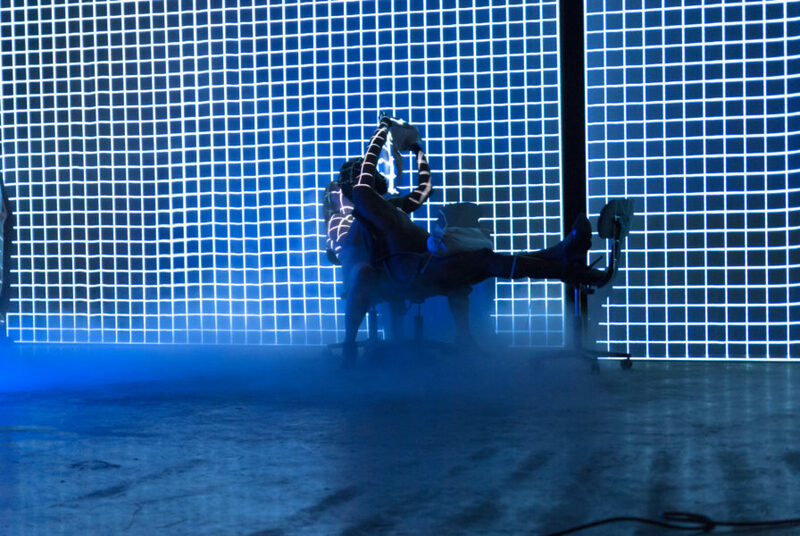 Performer keyon gaskin slowly migrates across the room by pushing with an office chair. keyon gaskin pours a sand bag, that was previously holding the spot light in place, onto Jen’s torso. A rich cloud of dust is produced that obscures the performers and illuminated grid.